With the Fluency Collaboration Server, your translation team can communicate directly and work on the same document in real time. You finish your job faster, while maintaining the highest quality of work product. 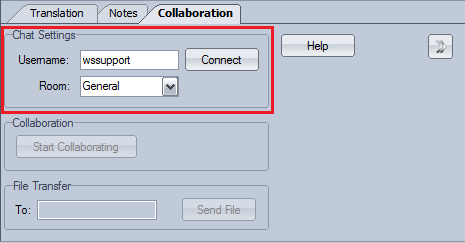 Click the double chevron button to display the collaboration settings. Enter a user name, select or create a chat room*, then click Connect. *Chat rooms found within the drop-down menu are public collaboration rooms. To create a private room, click within the white text area next to Room, then type a new room name. Once you’ve connected to a chat room, click the Start Collaborating button, found in the Collaboration section. Next you’ll see a new window, asking you to become the master translator. Select the first option, which will share the document with your colleague(s), then click OK.
Once you’ve been made master translator, click the double chevron button again to close the settings window. Now you’ll see the chat room window showing that you, and possibly your colleagues(s), have arrived. It will also state that you’ve started sharing your document with them. Collaborating translators will be asked if they want to request the master translator’s document upon clicking Start Collaborating. Click the Yes button to receive the document that’s been shared with the group. 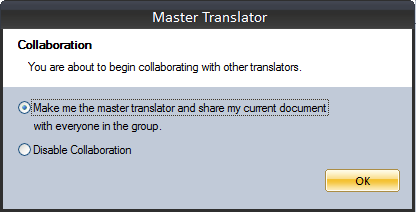 Upon clicking Yes, the master translator will send you their document. 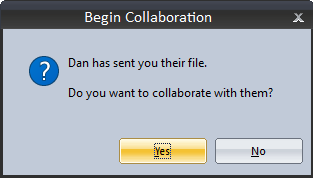 Click the Yes button to accept the invitation to collaborate with them. 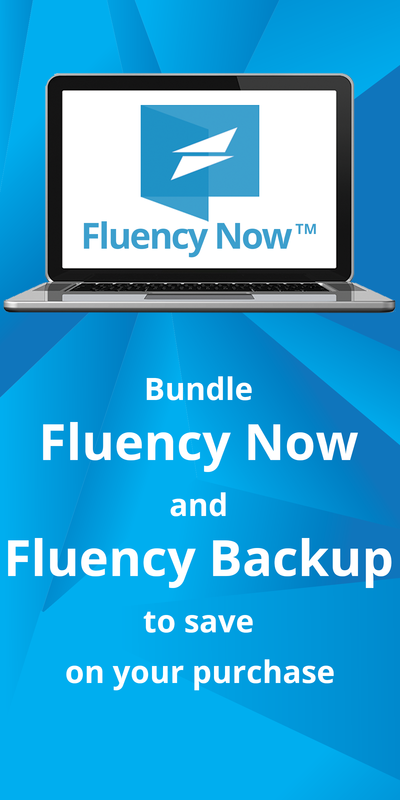 Once you’ve accepted the group document, it will be loaded into your copy of Fluency Now. Click on the Translation tab, then begin translating as usual. Any text translated or otherwise changed by one member of the team is instantaneously shared and seen by all members of the team. Editors and proofreaders can even work on the document while it is being translated, allowing the project to be completed more efficiently. Collaborators can also send files to each other without having to worry about attachment limitations of their email providers. To send a file, type the recipient’s username in the File Transfer box, then click Send File. 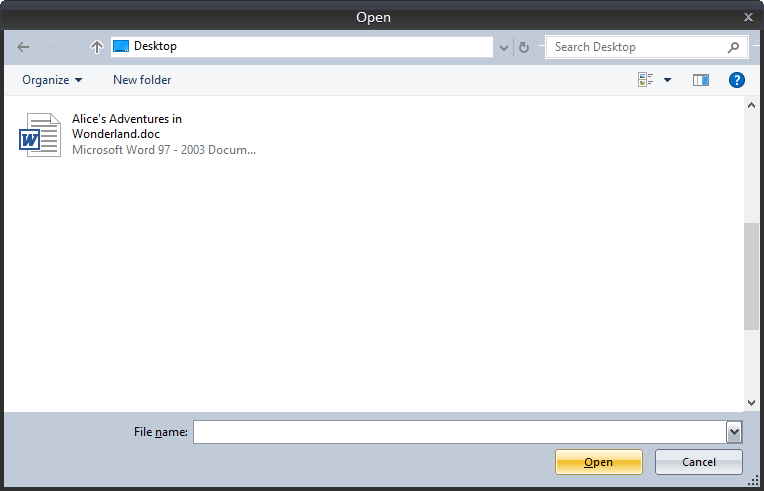 You’ll see a new window in which you can locate and select the file to send. After selecting a file, you’ll see confirmation in the chat window that the file has been sent. The recipient will now be asked to save the file. 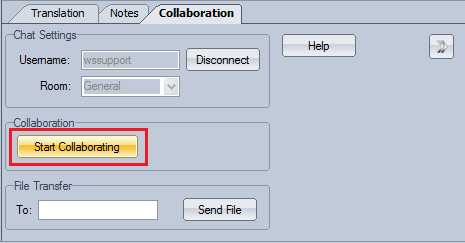 When you’re done collaborating, click on the double chevron button to open the Collaboration settings. Next click the Stop Collaborating button (which will disconnect you from the Collaboration server), then click the Disconnect button (which will disconnect you from the chat server). Please note that the master translator is responsible for saving any changes before closing the document in their copy of Fluency Now. If you’ve completed translating the entire document, and you’re ready to save it out in it’s original format, click on File > Save As. This will open a Save As window, in which you’ll select a location in which the translated version of the document will be saved.